SAILKARMA.COM - Sailing News, Videos and Photos! 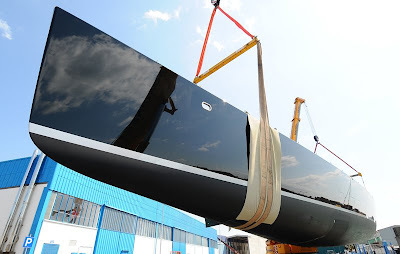 : Largest Wally Yacht built so far... Nice! 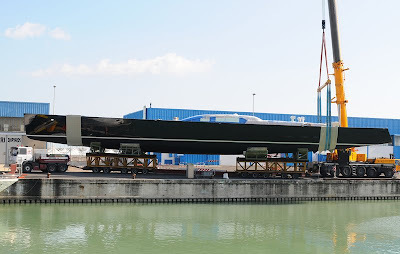 Fano, Italy – The Wally 148, that is the largest Wally built so far, has been successfully launched in the port of Fano, during a private ceremony organised by the WallyEurope building team and the yacht crew. 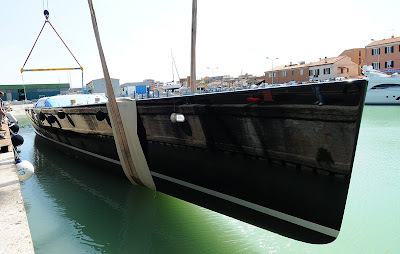 The 45-meter (148-foot) sloop will be towed to Ancona on April 12, to have the keel installed, scheduled for mid April, and proceed with the stepping of the mast at the end of the month.